D. R. Doley Barman joined Indian Police Service in 1986 and was allotted Jammu & Kashmir Cadre. As AIG (Pers) PHQ, Jammu & Kashmir, she brought about transparency in recruitment policy, formalized transfer policy and established Grievance Cell within PHQ. As DIG, CBI, she was responsible for investigation of high profile cases against senior bureaucrats and High Court referred cases such as custodial killings by army, oil scams, university scam, Bank frauds etc. She oversaw border management as IG, SSB (FHQ Patna) during Nepal elections and as IG, SSB (FHQ Guwahati) she handled the Bhutan border during Bhutan elections. She revamped budget management, purchase/procurement and welfare measures being the IG/ADG (Hqtrs) PHQ Jammu & Kashmir. 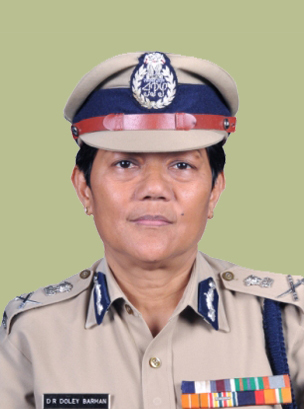 She is a recipient of Indian Police Medal for meritorious service and President's Medal for distinguished service.